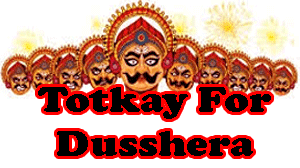 Totkay for dusshera, what to do to remove problems of life, best ideas to make life successful on dusshera. Dusshera is one of the biggest festival in India which is celebrated with full of excitement everywhere. This celebration reminds us about the victory of lord Rama over Ravan. 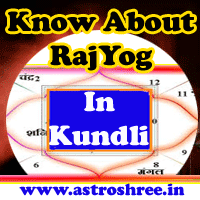 This is very auspicious day from the point of view of ASTROLOGY too because this is the day when we can perform many rituals to overcome from problems. For the decades Scholars are doing many TOTKAYS to make life successful on Dusshera. In this article we will see some easy ways to make life successful. These totkay are easy to perform on Vijayadushmi to attract health, wealth and success. We get Sarwarth siddhi yoga on Dusshera and it is good to perform the TOTKAYS in this auspicious time so do consult astrologer to know the best time to perform rituals or totkay. Do visit any laxmi temple and offer deepak of Clove and Camphor there. This will open the sources of income for next year. After Ravan Dahan, of possible do collect some ash of ravan and then keep it in your home, this will protect you from negative energy. You can also keep the Ash just above the main entrance door to save house from any negative energy. There is also a tradition to worship SHAMI TREE on Dusshera. It is believed that lord kuber has converted the leaves of Shami to Gold once. From that time shami tree is worshiped on dusshera. If anyone see Neelkanth bird on this auspicious day suddenly then it shows the luck. Do worship a coconut and keep it in a red cloth and then keep it in your safe for prosperity. Do hawan on vijyadashmi at your home, office etc to make your place free from anytype of negativity. Taking blessings of elders, olders, brahmins is said to be good to bring good luck in life on Dusshera. Do worship female child on this special day to remove unwanted obstacles from life. If you have weapons then do clean them properly on dusshera and then worship them. So enjoy vijyadashmi with some totkay and make your life successful, powerful and hurdle-free.